Chronic obstructive pulmonary disease (COPD) kills more than 120,000 Americans each year and is predominantly associated with cigarette smoking. 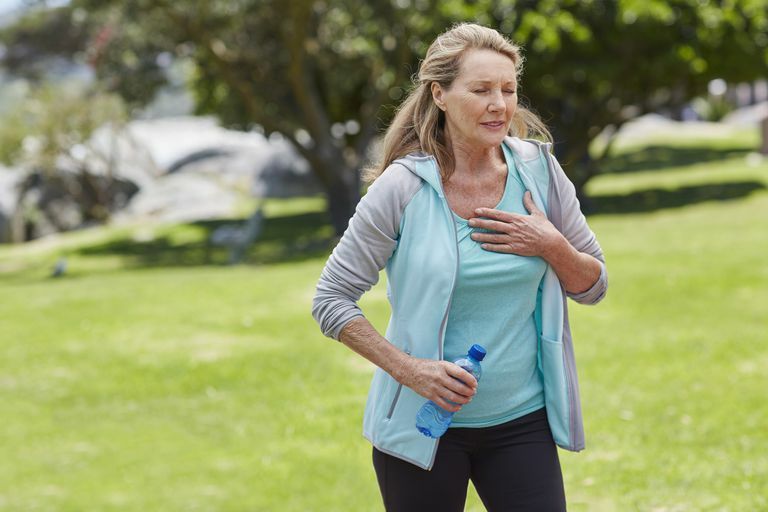 COPD affects around five percent of the U.S. population and can take one of two common forms of the disease: emphysema or chronic bronchitis. Emphysema and chronic bronchitis can be difficult to tell apart since each causes the restriction of breathing as well as symptoms of fatigue, wheezing, and excessive mucus production. Some people can experience both conditions at once, particularly in later-stage COPD. The main difference between emphysema and chronic bronchitis are the structures of the lungs they affect. For emphysema, the damage would occur in the air sacs of the lungs, called the alveoli, while the bronchial tubes would be the structures affected by chronic bronchitis. Emphysema is a form of COPD in which the alveoli are progressively damaged, causing them to weaken and burst. This reduces the surface area of the lungs and restricts the amount of oxygen that can reach the bloodstream. More than four million Americans are diagnosed with emphysema each year. Cigarette smoking is the main cause, the risk of which is associated with the duration of smoking and the number of cigarettes smoked each day. Non-smokers can also develop emphysema if regularly exposed to secondhand smoke. Chronic bronchitis is a form of COPD that causes inflammation of the bronchial tubes. When exposed to persistent inflammation, these passages will secrete mucus as a form of self-protection. The problem with this, of course, is that the excessive production can clog some of the smaller passageways, making it difficult for air to enter or leave. In the later stages of chronic bronchitis, the skin and lips may develop a bluish tinge. The is caused by the lack of oxygen in the bloodstream, a condition known as cyanosis. Decreased oxygen can also lead to the swelling in the legs and ankle (peripheral edema). The number of adults living with chronic bronchitis continues to grow in the U.S. with numbers now exceeding 11 million. There is no cure for emphysema or chronic bronchitis. Treatment of these conditions is focused on the reduction of symptoms and the slowing the progression of the disease. Treatment may involve oral drugs, inhaled medications, and surgery. Lifestyle changes are also central to treatment. Chief among these is the cessation of smoking, either by going cold turkey or using smoking aids. Without the complete termination of cigarettes, there is little way to either slow the disease or reduce the severity of illness. By kicking the habit, exercising regularly, losing weight, and using the appropriate medications, you can significantly reduce COPD symptoms and increase both your lifespan and quality of life. U.S. National Library of Medicine: National Institutes of Health. "COPD." MedlinePlus. Bethesda, Maryland.